We were recently asked by one of our readers, Howard Palmer, to cover the subject of repatriating to the UK. We love getting blog suggestions, and we also felt sure that the subject matter would likely be of interest to many expats. So we readily agreed to write up everything we could think of about repatriation to Britain. The trouble is, there’s an awful lot to think about, plan and be prepared for. And so we’ve had to divide this blog into two parts. In this first part I’m covering the tax and financial planning aspects of repatriating, because I’m a chartered financial planner. And in the second part, my colleague Rebecca Steele is going to cover the lifestyle aspects of a return to the UK. Having moved back from Dubai to the UK earlier this year, Rebecca has first-hand experience of the challenges a returning expat faces. As with my colleague Stuart Ritchie’s recent property tax and residency rules posts, I’ve divided this one into headings and sub headings so you can navigate to any parts that are applicable to you without having to wade through everything. I hope it goes without saying that if I, or any of my colleagues can be of assistance with sorting out your financial matters before you relocate, do get in touch. And on that note, let’s begin with preparing your financial matters for repatriation. Should you sell assets before repatriating? If you have the luxury to do so, start looking at your financial affairs 12 to 18 months before your actual repatriation. If you have assets to sell and profit to release, it can make sense from a capital gains tax perspective to do this before returning home. To simplify your tax situation as much as humanly possible, it’s prudent to move home at the start of the UK’s tax year, so on or after April the 6th – however, I’m fully aware that even the best laid plans seldom come to fruition, and having the luxury of choosing your exact date of return is unlikely! If you have assets such as a property and you can’t or don’t want to sell before you repatriate, then there are additional planning opportunities available to mitigate potential tax on income from assets. 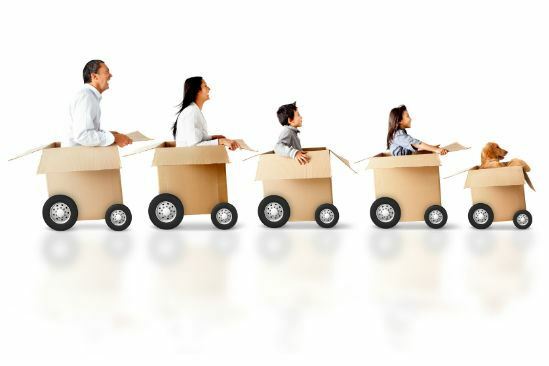 As always, everyone's circumstances are different from everyone else's, and repatriating may not necessarily be all that complex for you, as long as you take sage financial and tax advice in advance of your return. If you’re repatriating and you have a QROPS, you’re required to inform the QROPS provider when you’ve returned to the UK. If you then transfer your funds or take benefits from your QROPS, the scheme itself has to report payments to HMRC, regardless of how long you were non-UK resident previously. If you’ve started drawing an income from a pension scheme while abroad, you will be liable to tax in the UK on your income once you return to Britain, regardless of whether yours is a UK registered pension scheme such as a SIPP, or whether it's a QROPS. It is very important to seek advice at this stage to ensure that the level of income drawn from your pension along with other assets is done as tax efficiently as possible. For example, you may be able to offset tax liability by drawing down a portion from the pension commencement lump sum, using tax-deferred 5% withdrawals from an offshore bond, using the CGT annual exempt amount, transferring assets between spouses if one is a higher or additional rate tax payer, etc. You have choices and options – but you must seek advice in advance of your return to Britain. Otherwise you limit all your choices and options. How are funds taxed in the UK? How you’re taxed on bringing funds into the UK is relatively straightforward if you’re UK-domiciled, but have properly ceased UK residence and are not ordinarily resident in the UK – i.e., if you’re an expat. In which case you can bring funds into the UK without a UK income tax charge. But, if you’ve been an expat for less than 5 years, beware of the temporary non-residence rules – these could see gains, realised during your absence, taxed on your return. If you think you may be resident in the UK, UK-domiciled, but not ordinarily resident you will need to seek professional tax advice as your tax position is complex. Furthermore, if you’re a UK non-domiciled individual you have options on how you’re taxed, and should therefore seek professional tax advice so you can plan effectively. How to make and receive an international transfer? You will need to have a bank account in the UK if you want to receive funds from abroad. You may wish to use an international currency exchange firm for the transfer because many such companies charge low or zero fees for large transactions, and often offer better exchange rates than your bank. Ensure you entrust a reputable, regulated company. Unless you hold sterling offshore, you’re likely to encounter a rate of exchange when you move your funds back to Britain and into pounds sterling. You can forward fix a rate of exchange if you use a foreign exchange specialist company, and this can be a wise move if you don’t want the risk of the currency crashing on the day you move it. Explore your options with a regulated foreign exchange (also called FX) firm. Liability for tax in the UK is determined by residence and domicile status. If you’re a tax resident in the UK you’re liable to UK tax on your worldwide income. As a non-resident expat you’re subject to tax on UK-source income only, such as rental income from UK properties, UK pension income etc. Where you are subject to UK income tax, the amount you pay will depend on the level of your income, which falls into each of the tax bands. At present, everyone has a personal allowance below which no tax is payable, it’s £11,000 for the 2016/17 tax year, although this is gradually removed for those earning in excess of £100,000. You can find out more about self-assessment and who needs to send in a tax return on HMRC’s own website. If you’re returning to the UK and taking up a job offer, you are likely to need to fill in a Starter Checklist form from HMRC. This is for employees without a P45, (which is the form you’re given at the end of a period of employment in the UK, which provides details of your tax code, gross pay, and the tax paid for that year). This Starter Checklist replaced the old P46, and it gets you back on the taxman’s radar. Until your tax situation is clarified you may also have to have an emergency tax code. Apply for both via HMRC’s own website. For the purposes of income tax, you are generally treated as being resident for the whole of the tax year, and therefore all income received in the tax year in which you become UK resident will be subject to UK income tax. There is however an extra statutory concession for the purposes of income tax which allows a ‘split year treatment’ to be applied, such that income arising in the tax year of return but before the actual date of return will not be subject to UK income tax. The rules for this are quite different to those applying to the treatment of capital gains, and income tax split year treatment is only available where an individual is leaving or returning to the UK for the purposes of work. Please see my colleague Stuart’s earlier residency rules blog for more information about this. National Insurance contributions (NICs) are payable in order for you to qualify for certain benefits including the state pension. You can make voluntary contributions while you’re abroad, but if you haven’t done so and you’d like to catch up once you repatriate, or you want to find out how any gaps you have may affect your future entitlement to benefits, you can check your NI record online. The type of NICs you pay depends on your employment status and how much you earn, and whether you have any gaps in your National Insurance record and want to catch up. If you’re employed you stop paying Class 1 National Insurance when you reach the state pension age, and if you’re self-employed you stop paying Class 2 when you reach state pension age, and Class 4 from the start of the tax year after you reach state pension age. 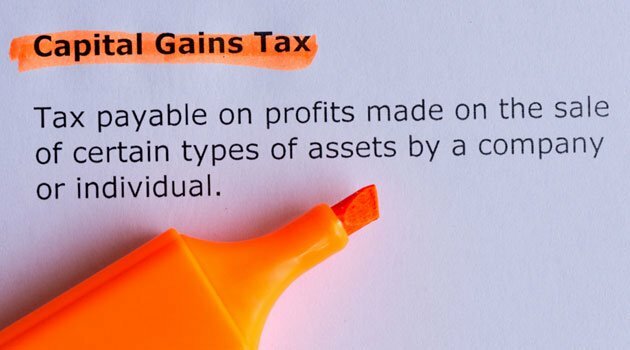 Capital gains is a tax payable on any gain made on the disposals of the majority of assets, whether the disposal occurs due to a sale of the asset or gifting. It is assessed in the tax year in which the gain is made, and the rate at which it is paid relates to to your total income. When added to income for the tax year, any part of the taxable gain which falls into the higher or additional rate band is subject to CGT at 20% (28% for property), with any part below the basic rate band subject to tax at a lower rate of 10% (18% for property). You have an annual exemption per tax year below which gains realised will not be subject to CGT (for the 2016/17 tax year this exemption is £11,100). Depending on your current residency status, you may not be liable to UK CGT on investment assets that were purchased while you were non-resident, and disposed of while non-resident. However, once you repatriate, your entire gain from such a disposal could be liable to CGT, therefore as I mentioned above, it may be wise to realise any gains on investment assets before repatriation. HMRC has a useful section on its website with help sheets to assist you in determining whether you have anything to pay. Also worth keeping in mind is the fact that there is no relief or reduction in liability available to take into account gains that were accrued while abroad. For this reason, returning to the UK with unrealised gains on assets may be inadvisable. Where gains are realised during a tax year in which you are non-UK resident, it is important to be aware that you may still be subject to UK CGT. This can occur if you are non-UK resident for fewer than five complete tax years before realising the gain. It is also worth noting that, while capital gains are assessed in the tax year in which they are made, an extra statutory concession applies where you have not been resident in the UK at any time during the previous five tax years, then only disposals made after the date that you become UK resident are assessable for CGT. The result of this is that if, for example, you become UK resident half way through a tax year, you will not be subject to UK CGT on disposals made in the first half of the tax year. However, if you’ve lived abroad for fewer than five years and made a taxable gain in that time, you may be subject to UK CGT. Again, please refer to my colleague Stuart’s earlier SRT blog for information about split year treatment. IHT may be levied on the estate of a deceased person who was domiciled in the United Kingdom, or who was not domiciled in the United Kingdom but who owned assets there. This means it can apply to the assets of deceased expats. Domicile is distinct from residency, meaning that IHT is applicable to a UK domiciled individual regardless of where they are resident. The IHT threshold (or nil rate band - NRB) is the amount up to which an estate will have no IHT to pay. The amount of the NRB is currently £325,000 per individual. Assuming you’re a British expat, you’re likely to be a UK domiciled individual whose estate could be liable to IHT, so you may want to consider taking advantage of certain IHT exemptions around gifting, even while you are non-resident. IHT exempt gifting involves the use of the various allowances and exemptions that can apply to generally smaller scale gifting. If you have disposable income and wish to make use of gifting allowances, you may wish to consider the annual exemptions and gifts as part of normal expenditure out of income. Transfers between UK domiciled spouses and civil partners, during life and on death, are exempt. In addition, any unused part of the nil rate band on the first death can be transferred and added to the nil rate band of the second to die. Therefore, upon first death, if the entire estate is left to the surviving spouse, then upon second death the nil rate band of both spouses can be used. The annual exemption allows you, and your spouse or civil partner if applicable, to both gift up to £3,000 per tax year, with these gifts immediately falling outside of your estate for tax purposes, and therefore being free from IHT. Any unused portion of the exemption can be carried forward for a maximum of one tax year. That is, if you have not made use of any part of the previous year’s allowance, you are each able to gift an exempt amount of £6,000 in the current tax year. Gifts made as part of normal expenditure out of income are also immediately free from IHT. PETs are gifts that potentially qualify for an exemption and are made, in general, to either an individual or an absolute trust. A potentially exempt transfer will only become chargeable to IHT if the donor fails to survive for seven years from the date of the gift. In this instance, it is regarded as a failed PET. On death within seven years of the gift, the value of the failed PET is added to the donor's estate, along with any other gifts made by the donor in the seven years before death. Only where the value of the failed PET, when added to any earlier gifts within seven years, exceeds the prevailing NRB (£325,000 in the current tax year) will IHT become payable on the failed PET. If there is an IHT liability on the PET, then this may be reduced by taper relief, where the donor has survived at least three years from the date of the gift. That concludes my thoughts about repatriating, from a purely financial point of view. But if you think I’ve missed anything, please get in touch. You can read the second part of this blog here, written by my colleague Rebecca Steele. It covers everything from relocating with pets to getting a mortgage, and from finding an NHS dentist (I didn’t know they still existed!) to persuading customs to let your container in. If you have any ideas for other subjects you’d like us to cover, please do let us know. Thanks again to Mr. Palmer for this suggestion. Julian Vydelingum is a Chartered Financial Planner, providing regulated advice outside of the UK on an unbiased and transparent fee basis.